Rev. Daniel A. O’Connor, CSV, 82, the former pastor of St. Patrick Catholic Church of Kankakee, Illinois, died suddenly at 2:45 p.m. December 25, 1974 at St. Mary’s Hospital. Father O’Connor had celebrated several masses at St. Martin Catholic Church, Martinton before becoming ill. He was in the 58th year of his religious profession and the 50th year of his priesthood. In 1971, Father O’Connor retired as pastor of St. Patrick’s Church but had continued assisting in a number of parishes and hospitals. The son of Mr. and Mrs. Andrew O’Connor he was born August 8, 1892 in Holyoke, Massachusetts. Father O’Connor had his first profession of vows in the Clerics of St. Viator on August 16, 19l6. He was ordained on June 14, 1924. From1937 to 1957 he served as first assistant general of the Clerics of St. Viator. He also was pastor of St. Joseph Church, Springfield, Illinois from1930 to 1931. In 1930 he was named as the first principal of Boy’s Cathedral High School, Springfield, Illinois, a post he filled until 1937. 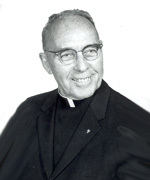 From 1957 to 1963 Father O’Connor was professor of social sciences at Marquette University. Father O’Connor became pastor of St. Patrick’s in Kankakee in 1964 and remained there until his retirement. 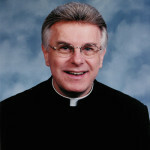 He also served as a consulter for the Joliet Diocese from 1965 to 1971. Survivors include brothers, John P. and James J. and sisters, Mrs. James E. Murphy and Mrs. Nora Larrow and several nieces and nephews. Funeral services were at 11:30 a.m. Saturday, December 28, 1974 at St. Patrick Catholic Church, Kankakee, Illinois. Visitation was at the Clancy Funeral Home, Kankakee, Illinois, 2 p.m. Friday, December 27, 1974. 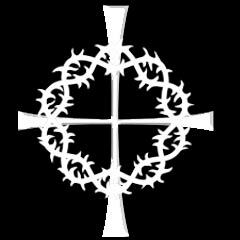 Visitation at St. Patrick’s Church was from 9 a.m. Saturday, December 28, 2974 until time of the services. A liturgical service was held at the funeral home at 8 p.m. Friday, December 27, 1974. Burial was in Maternity Cemetery, Bourbonnais, Illinois. Please remember Father O’Connor in your Masses and prayers.